Just think about how many trucks are on the roads. The trucks on the roads range from Heavy Haulers, Semi-Trucks, Tractor Trailers, 18 Wheelers, Reefers, Straight Trucks, Trailers, Flatbed Trailers, Gooseneck Trailers, Low boys, Freightliners, Intermodal Chassis, to RVs. Let us not forget the tremendous amount of buses on our roads as well. Now think about how many of those trucks are in need of repair? From minor truck repair to major truck repair, there are many repairs that can be crucial to the life of the vehicles and to people’s lives as well. Think about just how many trucks are on the road right now that won’t pass inspection. A recent initiative in Canada turned up a host of safety violations among commercial trucks on the roads. Police in Calgary inspected all kinds of tractor trailers, semi-trucks and 18 wheelers during the 3 day operation. The main focus of the operation was brake and suspension problems in commercial trucks. They also focused on properly secured loads and driver qualifications. Out of nearly 300 trucks that were inspected, 100 of them were cited for major violations are taken off the road immediately. One can only imagine the results that such an operation in the United States would yield. As it turned out, more than one third of the inspected trucks required major repairs. Don’t wait until its too late to send your truck of fleets in for repair. FixonRoad.com™ has a network of qualified truck repair stations, right on our website at FixonRoad.com™. If you are not near a computer, you can also call us at 1-800-208-6364 for immediate assistance. When using our directory of Truck Repair service providers you can expect to pay reasonable rates for mobile truck repair and road service. You can also expect that your truck will be fixed within a reasonable time range. 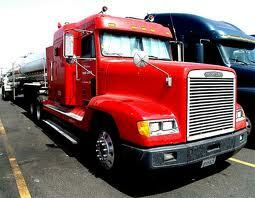 We have service providers who specialize in all aspects of truck repair services. Our providers specialize in services ranging from repairs to truck alternators / truck starters, truck belts / truck hoses, truck batteries, truck brake systems / truck brake chambers, truck radiators / truck exhaust, truck fuel systems, truck transmissions, truck electrical problems, truck tires / truck axles, truck electrical issues and truck towing. If you are a truck driver, whether you drive an 18-wheeler, big rig, heavy hauler, reefer, tractor trailer or freightliner, FixonRoad.com™ is an extremely useful resource to use. FixonRoad.com™ provides you with access to a database of emergency roadside assistance providers for truck drivers. FixonRoad.com™ gives our visitors access to the most comprehensive list of Truck Repair service providers around. Our Truck Repair and Road Service providers specialize in: Mobile Repair Service, Truck Repair Towing, Mobile Trailer Service, Trailer Repair, Truck Stops with Repair, Mobile Tire Service, Truck Tire Sales and Tire Service, Quick Lube, Mobile Bus Service, Bus Repair, Truck Air Conditioning, Mobile RV Service, RV Repairs and Service , Mobile Bus Service, Bus Repair, Truck Glass Repair, Mobile Refrigeration Service, Reefer Repair and Service, Liftgates, Mobile Hydraulics Service, Truck Body Shops, Truck Parts, Load Shifts and Transfers, Truck Welding Frame, Truck Alignment and Truck Suspension. 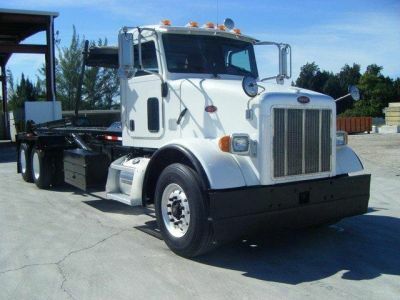 Are you searching the internet for Semi Truck Repair, or Semi Truck Towing? Well then you have certainly come to the right place. FixonRoad.com™ proudly provides truck fleets and owner operators with a comprehensive and complimentary directory of the most trusted, affordable roadside truck and trailer repair services. We offer a thorough directory of mobile truck and trailer repair service providers to our visitors. At FixonRoad.com™ we have confidence that we have a service provider within just a few miles of your breakdown location. Heavy Haulers, Semi-Trucks, Tractor Trailers, 18 Wheelers, Reefers, Straight Trucks, Trailers, Flatbed Trailers, Gooseneck Trailers, Low boys, Freightliners, Intermodal Chassis, Buses and RVs. To access our network of qualified truck repair stations, just visit us on the web at FixonRoad.com™ or call us at 1-800-208-6364 for immediate assistance. When accessing our directory of Truck and Trailer Breakdown Repair service you can expect to pay fair rates for mobile truck repair and road service. You can also expect that your truck will be repaired in a timely fashion. Our truck repair service providers will help get you back on the road quickly. Some of the truck repair services that our truck roadside assistance centers provide include repairs to truck alternators / truck starters, truck belts / truck hoses, truck batteries, truck brake systems / truck brake chambers, truck radiators / truck exhaust, truck fuel systems, truck transmissions, truck electrical problems, truck tires / truck axles, truck electrical issues and truck towing. If you are a truck driver and you drive an 18-wheeler, big rig, heavy hauler, reefer, tractor trailer or freightliner, FixonRoad.com™ is a valuable resource that can provide access to a free database of emergency roadside assistance providers for truck drivers. FixonRoad.com™ is aimed at keeping truck drivers out of truck repair shop by bringing you up to date on the latest news in the trucking industry. Truck drivers who need roadside assistance need to get back on the road as soon as possible. 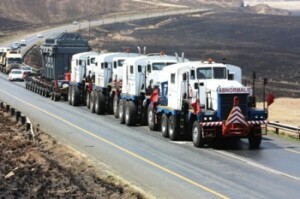 Truck Drivers in need of emergency roadside assistance can rely on the professionals at FixonRoad.com™. Our goal is to provide you with the best and most reasonably priced Truck Repair and Services Business Directory in the USA. Drivers of semi-trucks, tractor trailers, reefers, buses, rv’s, heavy haulers, freightliners and 18-wheelers must consider the dangers of engine cooling. If engines are not properly cooled, many issues can arise that will result in a need for emergency roadside assistance. Many trucks can spend lengthy amount of time hauling heavy loads up hills at reduced speeds and with little air circulation. This can put a load on their radiators. FixonRoad.com™ has a large directory of radiator specialists that can help. Radiator issues can result in overheating. If you determine that you are in need of roadside assistance, be sure to contact FixonRoad.com™ at 800-208-6364 immediately. 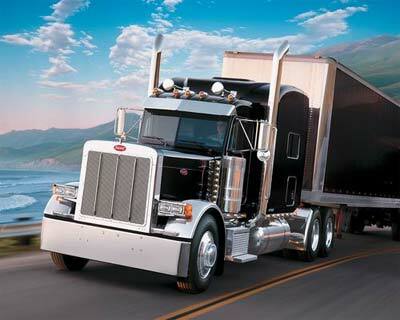 It is our mission to provide you with the best truck repair service providers in your area. At FixonRoad.com™ we are determined to bringing you the best, most reliable and most affordable truck repair services in the United States. Do you need truck radiator service? Are you searching for truck a/c repair? FixonRoad.com™ gives visitors full access to the most comprehensive list of Truck Repair service providers on the internet. Our Truck Repair and Road Service providers specialize in: Mobile Repair Service, Truck Repair Towing, Mobile Trailer Service, Trailer Repair, Truck Stops with Repair, Mobile Tire Service, Truck Tire Sales and Tire Service, Quick Lube, Mobile Bus Service, Bus Repair, Truck Air Conditioning, Mobile RV Service, RV Repairs and Service , Mobile Bus Service, Bus Repair, Truck Glass Repair, Mobile Refrigeration Service, Reefer Repair and Service, Liftgates, Mobile Hydraulics Service, Truck Body Shops, Truck Parts, Load Shifts and Transfers, Truck Welding Frame, Truck Alignment and Truck Suspension. Good news for the trucking industry! In 2011, the trucking industry here in the United States will be picking up more than loads of freight than last year. As the economy improves, consumers and businesses ramp up purchases. That means that thousands more truck drivers will be needed to haul the extra merchandise. There’s the old saying: “if you got it, a truck brought it”. Truck drivers are in demand with an entire generation of baby-boomer truck drivers nearing retirement. Based on annual growth, the truck driver ranks 9th in The Indianapolis Star’s list of top jobs for 2011. More trucks means more mileage. More mileage means more breakdowns. Semi-trucks, tractor trailers, 18-wheelers, big rigs, heavy haulers, reefers and low boys will need to be well maintained. With the increased risk of breakdown, truck drivers need to be aware of FixonRoad.com™. FixonRoad.com™ offers a free directory of emergency roadside truck assistance providers. If you need mobile tire service, tractor trailer towing, or any other truck service, FixonRoad.com™ can help. Our directory of truck repair professionals has listings from all over the United States. Truck drivers in need of emergency service can search by zip code or city and state. Our directory will guide you to a list of providers in your area who specialize in the truck road assistance that you need. FixonRoad.com™ makes sure that only the best truck roadside assistance providers are listed in our full service truck repair directory. Trucks generally log approximately 600 miles each day. Drivers need to get their shipments delivered in a timely manner. Delays cost drivers money that they could ne making on the next haul. It is very important for drivers to get fast roadside assistance and get back on the road as soon as possible. FixonRoad.com™ has a comprehensive list of truck roadside assistance repair stations. Are you a trucker looking for Semi Truck Repair, or Semi Truck Towing? If so, you have come to the right place. FixonRoad.com™ provides truck fleets and owner operators with a free directory of the most reliable, reasonably priced roadside truck and trailer repair services. We offer our visitors an extensive network of mobile truck and trailer repair service providers. We are confident that chances are we will have a service provider within just a few miles of your breakdown location. Semi-Trucks, Tractor Trailers, Reefers, Straight Trucks, Trailers, Flatbed Trailers, Heavy Haulers, Gooseneck Trailers, Low boys, Freightliners, Intermodal Chassis, Buses and RVs. To take advantage of our network of qualified truck repair stations, just call us at 1-800-208-6364 for immediate assistance. When utilizing our Truck and Trailer Breakdown Repair service you can expect to pay less for mobile truck repair and road service. Your can also expect that your truck will be repaired quickly. Some of the services that our truck roadside assistance centers provide include repairs to truck alternators / truck starters, truck belts / truck hoses, truck batteries, truck brake systems / truck brake chambers, truck radiators / truck exhaust, truck fuel systems, truck transmissions, truck electrical problems, truck tires / truck axles, truck electrical issues and truck towing. If you are a truck driver and you drive an 18 wheeler, big rig, heavy hauler, reefer, tractor trailer or freightliner, FixonRoad.com™ is a valuable resource that can provide access to a free database of emergency roadside assistance providers for truck drivers. When it comes to reefer repair and maintenance, makers of reefer units help truck drivers with advice to get maximum efficiency out of their vehicles. Reefers, just like tractor trailers, 18 wheelers, big rigs, low boys and freightliners break down. If you are in need of truck roadside assistance and you are in an unfamiliar place, where do you turn? Finding a truck roadside assistance provider that you can trust can be tricky. 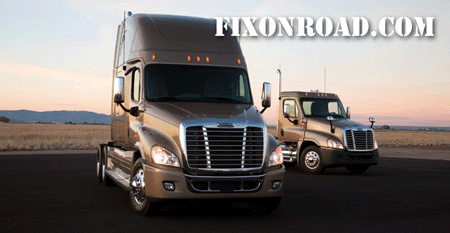 FixonRoad.com™ can help truck drivers find reliable roadside assistance and top notch truck repair centers. All you have to do is visit FixonRoad.com™ to access our free directory of truck repair services. Our truck repair service directory also gives readers access to useful articles covering the latest the trucking industry. For example, the topic of stop-start vs. continuous running when it comes to reefers is explored. It is important to consider how much the reefer unit’s engine runs. Then you must understand how much fuel is burned and the amount of wear and tear on unit components. The perishables in the trailer must also be taken into account. 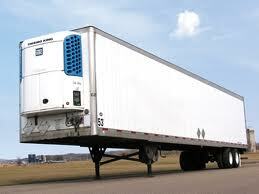 The trailers level of insulation is also a factor to consider. The reefers age and condition is another important aspect to think about. 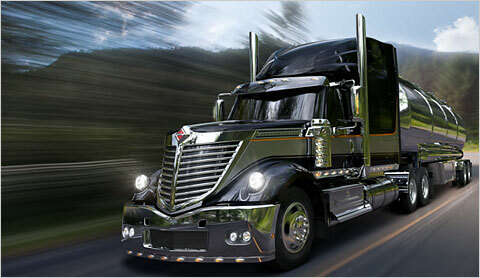 Fix on Road Roadside Truck Repair Services: Freightliner Goes Green! Are tractor trailers about to go green? Are battery operated 18 wheelers the next thing to hit the highways? Are solar-powered semi-trucks the latest truck technology to be seen at the truck stops? Or is it the wind-powered big rigs, low boys and heavy haulers that are making a splash? Actually, the ideas mentioned above are not so far from the truth… Daimler Trucks North America along with Walmart have come together to build the first-ever hybrid electric truck – The Freightliner Cascadia. This truck may pave the way for innovative, green technologies in the trucking industry. The freightliner boasts a parallel hybrid electric system based on an electrically powered second drive axle. The latest truck axle system utilizes advanced lithium-ion-based energy storage. While the truck’s conventional drivetrain remains intact the focus is on the truck’s fuel efficiency and green trucking technology. Daimler Trucks North America has been working on development of the trucking industry’s efficient and environmentally-friendly technologies. The Freightliner Cascadia represents the latest advance in green trucking technology. By offering alternative fuel trucks, it still needs to be determined whether there is a market for this sort of truck technology. There will be new experiences in the field of truck repair and truck roadside assistance that the trucking industry will need to address. There may be a need for mobile truck services to charge the lithium-ion batteries. Mobile truck repair services may even deliver new electrical systems or repair new ones on the spot. Maybe this latest truck technology will take off, or maybe it will lead the industry onto a path of future improvements. However, one thing is for sure: If you need emergency truck roadside repair, visit FixonRoad.com™. Posted in Road Service Locator, Truck News, Truck Technology | Comments Off on Fix on Road Roadside Truck Repair Services: Freightliner Goes Green!